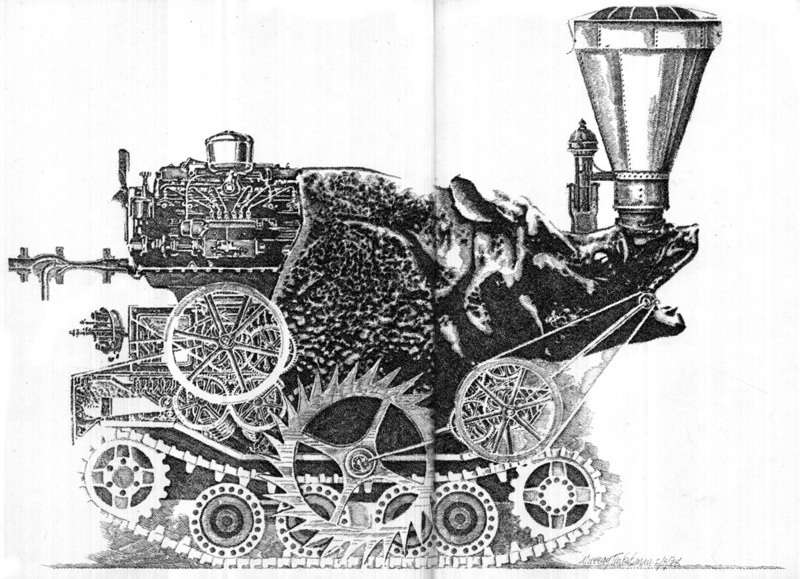 In the 1980 book, "The Illustrations of Murray Tinkelman," the author writes that Murray's "Mechanimals" might have been "built by an obscure inventor who fancied himself a cross between Dr. Frankenstein and Henry Ford." 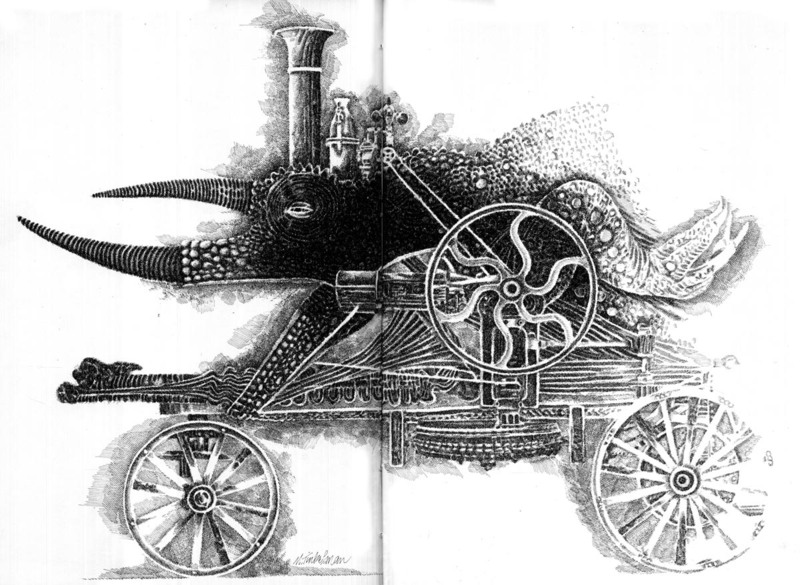 For his part as that "obscure inventor," Murray said, "I draw them strictly for myself, for sheer enjoyment." "They give me a chance to grow, to experiment, and to make mistakes. Every artist needs to be able to make mistakes, but there's just no room for error when you're working on commercial assignments." "They also keep me from stagnating. Since an artist is known for his former work, he can get channelled into repeating the same thing over and over. The Mechanimals help keep me flexible." 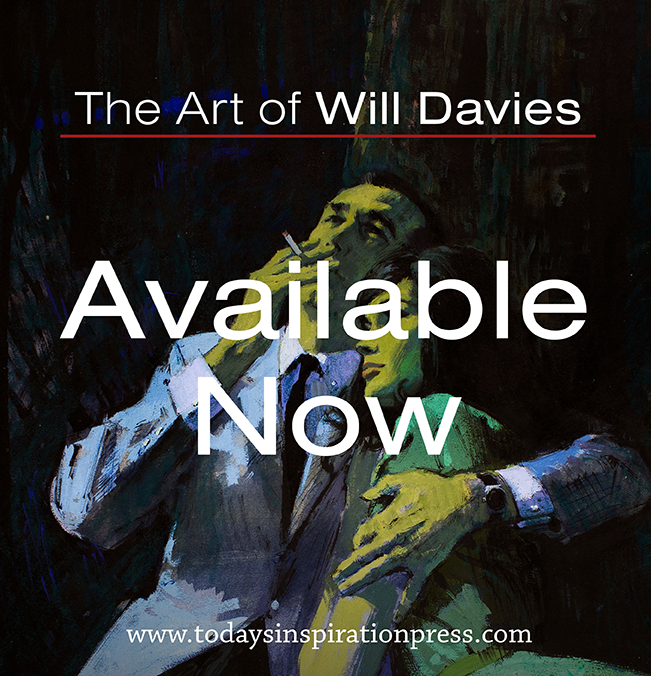 The fond memories of what Murray often calls his "misspent youth" have proven to be a wellspring of endless inspiration, fuelling a long and colourful career of cross-hatched creativity. 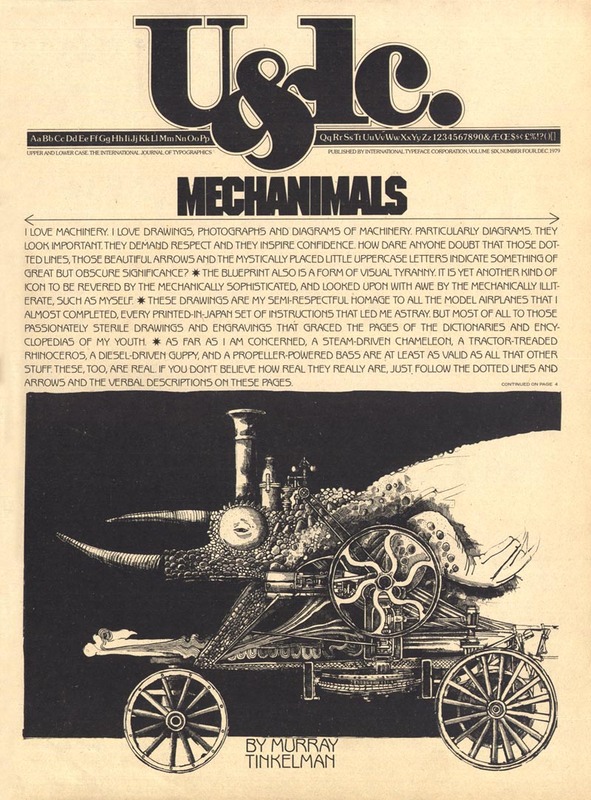 Murray's Mechanimals first appeared in print in 1979 in (legendary typographic designer) Herb Lubalin's "Upper and Lower Case" magazine. 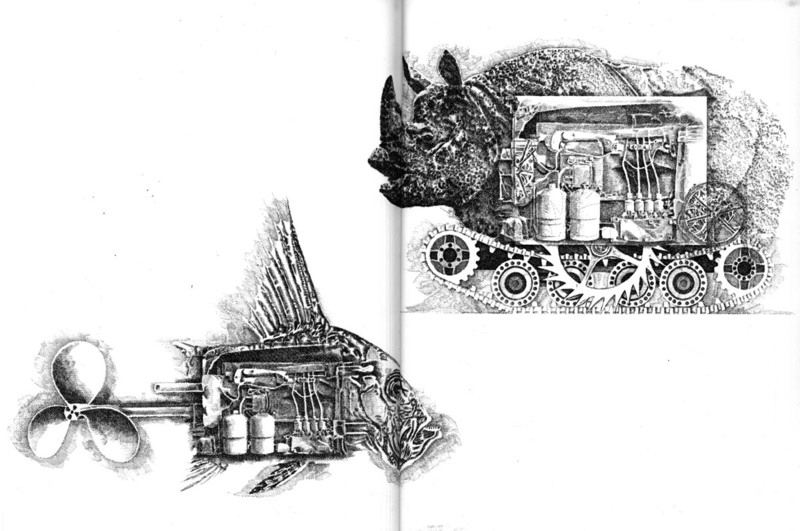 In his intro Murray wrote, "These drawings are my semi-respectful homage to all the model airplanes that I almost completed. Every printed-in-Japan set of instructions that led me astray." "But most of all to those passionately sterile drawings and engravings that graced the pages of the dictionaries and encyclopedias of my youth." Great to see these (and the images of U&lc--another favorite). Murray is an inspiration. I had him as an instructor for 'History of Illustration' at F.I.T. Passionate and always truthful. 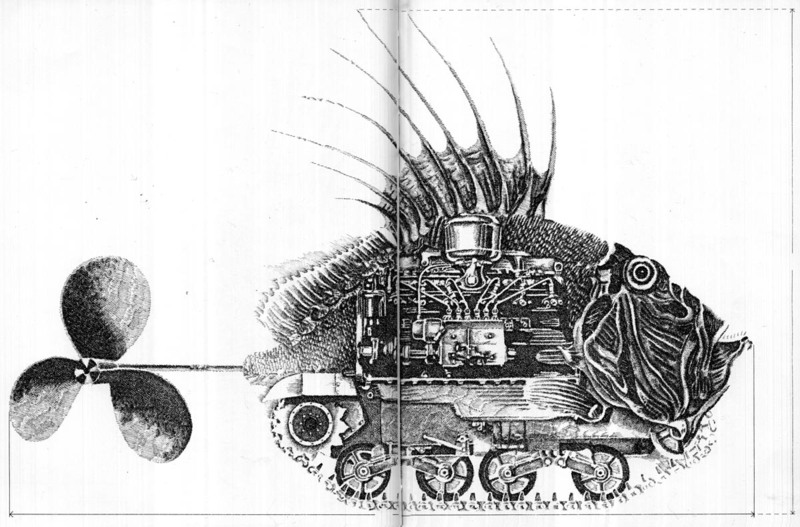 Of all Murray's work, I think these are my favorites. ... or just click on the hyperlinked words "Hartford Art School’s limited-residency Master of Fine Arts in Illustration program." at the end of each of this week's posts.